Nick grew up with a love for the outdoors reinforced through scouting and summers at the family cabin in northern WI. In college, many of these activities were put on the back burner but that didn’t last long. He started guiding for the university as a TA and realized that his passion for backcountry adventure and education would become a lifelong pursuit. Nick Gordon, NREMT and WEMT, is owner and lead instructor for NOW Outdoors LLC. He teaches more than a dozen wilderness adventure courses for UW-Milwaukee and holds the highest level of wilderness medical training in the state of WI. In addition, Nick is a certified instructor for the SOLO School of Wilderness Medicine. 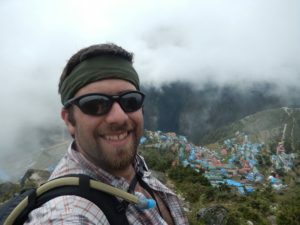 Nick also runs the largest outdoor themed meetup community in Wisconsin and volunteers as the SE Regional Coordinator for the Wisconsin Association for Environmental Education.